Welcome to the 2018-2019 Brookside School Year! Welcome to the 2018-2019 school year! I am so excited to back at Brookside for my 6th year with my kids and colleagues after spending the past 6 months home with my baby boy, Weslee :) I hope you got to enjoy many different, fun, and exciting things this summer, while still finding time to relax and unwind. 5th graders: Welcome to your first year of lockers! As exciting as this can be, it can also be very overwhelming, too. DO NOT WORRY if your locker doesn't have a lot of pictures, or isn't as decorated as your neighbors...it will be fine! DO NOT WORRY if you forget your locker combination. Your teachers will have your combination and you'll find a way that works for you to remember it. DO NOT WORRY if your locker gets stuck! It happens all the time! You can ask a friend, your locker neighbor, or teacher for help. 7th graders: Welcome back! Your brand new teachers are SO excited to meet everyone and get you acclimated to 7th grade life! Being that this is your fourth year here at Brookside, you know this school like the back of your hand...you know the school rules, routines, and expecations. If you see a 4th or 5th grader in need of help, don't hesistate to reach out. 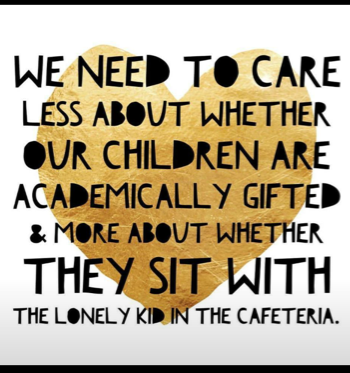 Whether it's giving them directions to a classroom, helping them with their locker, or simply just saying, "Hi." 1) Tell your teacher. They will either call me first to make sure I am in my office or will send you down to me.